Vintage Engagement Ring in 14k White Gold | Shane Co. Your love is a fairy tale that can be represented by the ring of your dreams. This engagement ring is complete with a stunning vintage inspired detailing providing the perfect backdrop to the center diamond of your choice. 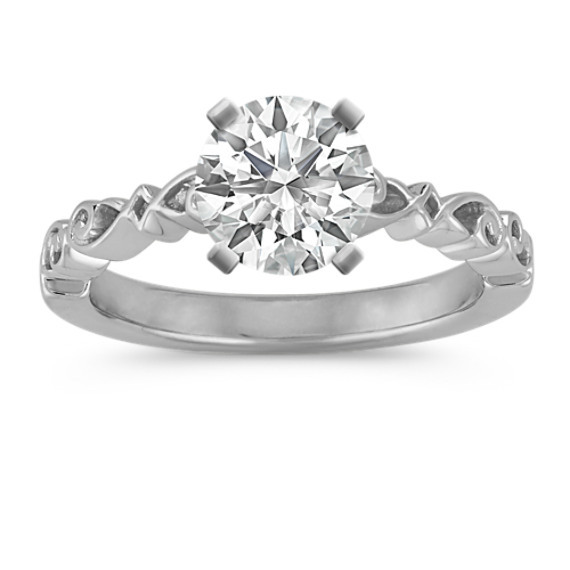 The setting is crafted of quality 14 karat white gold and is a wonderful choice for your happily ever after. I absolutely loved the quality of the ring. She was more than crazy about it as well. And she said "yes" ! Thank you, Shane!